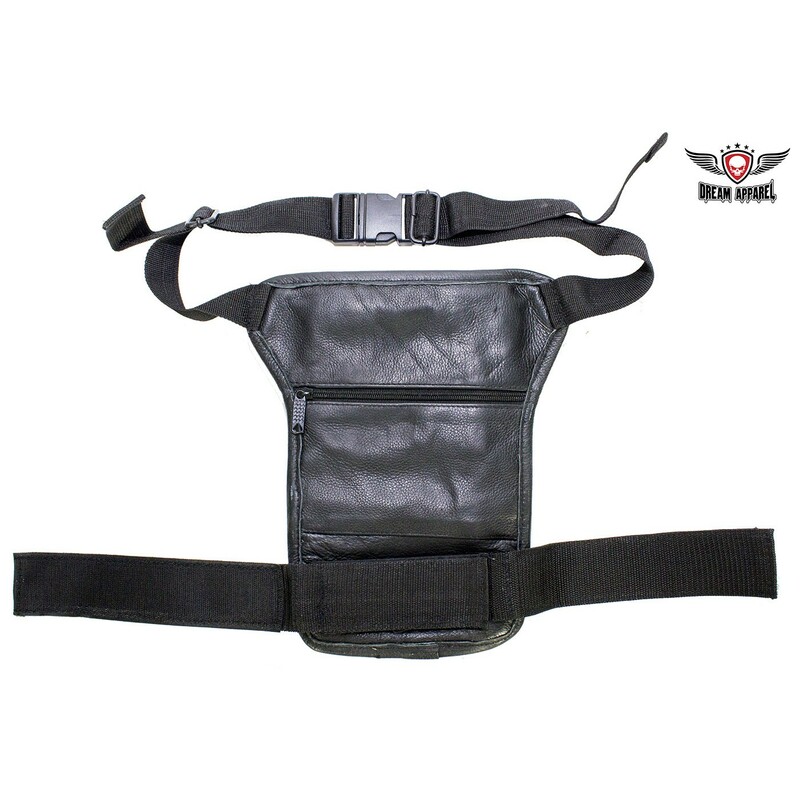 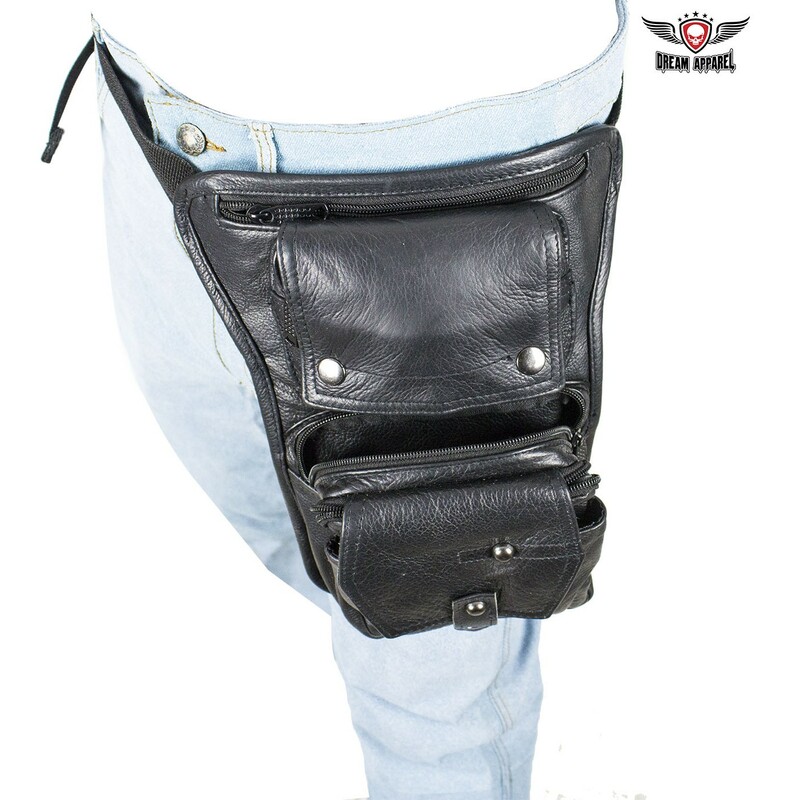 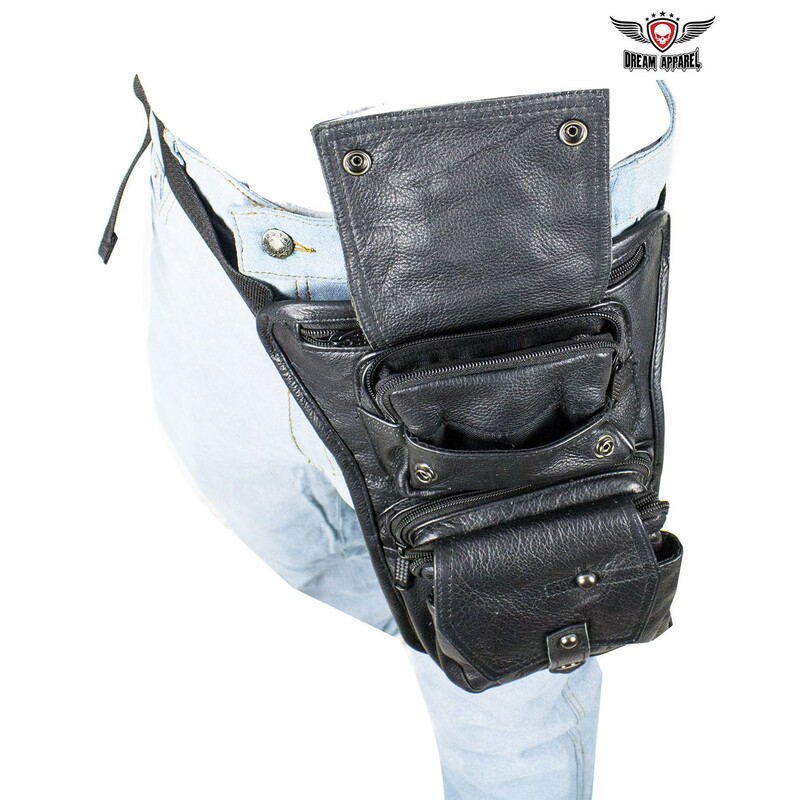 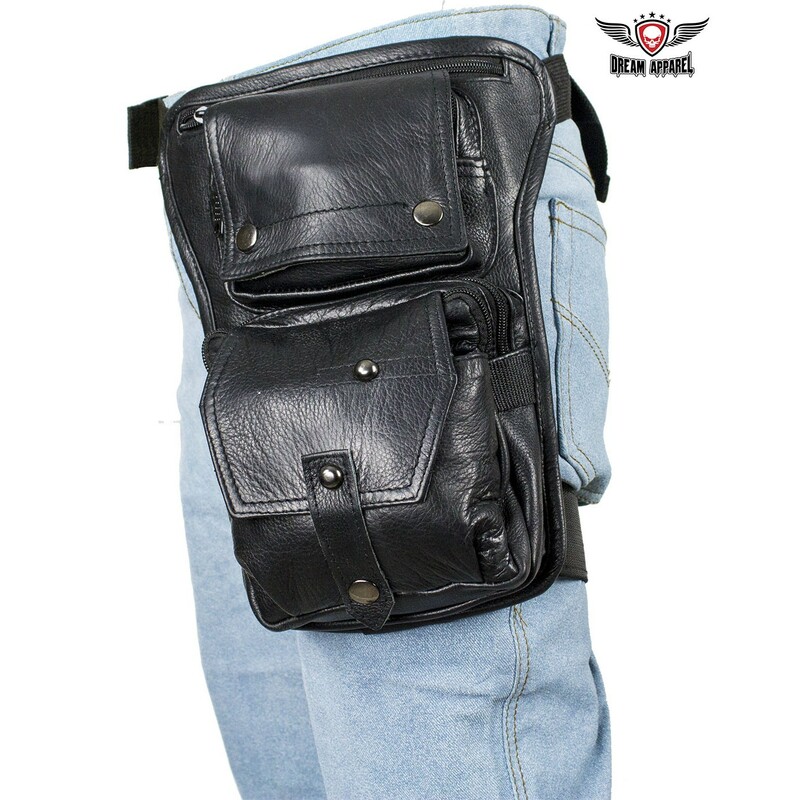 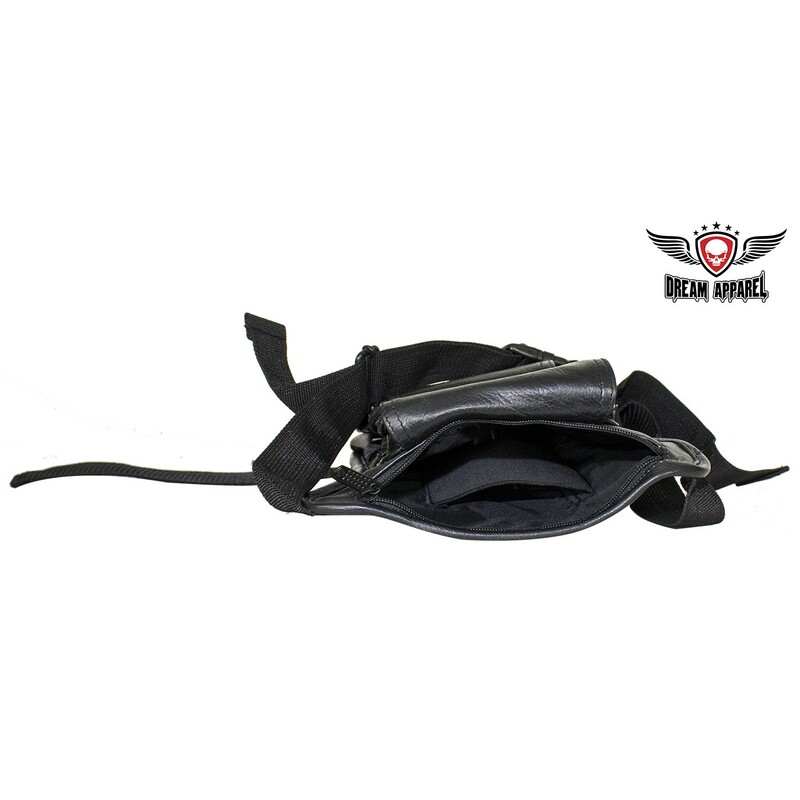 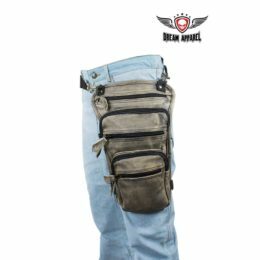 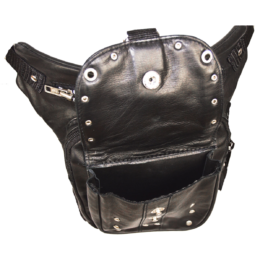 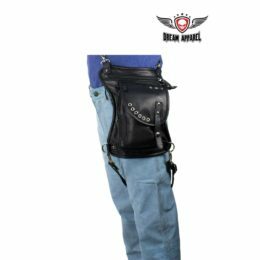 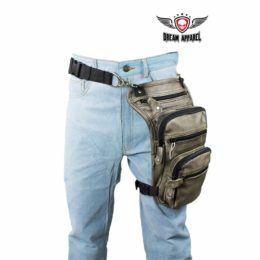 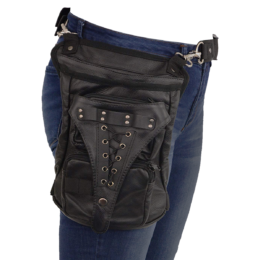 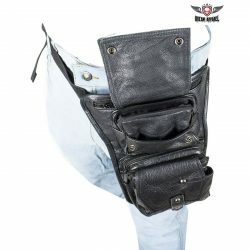 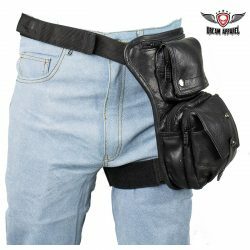 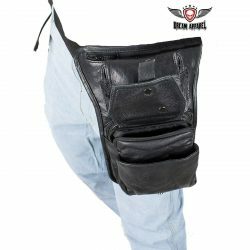 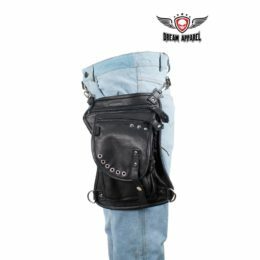 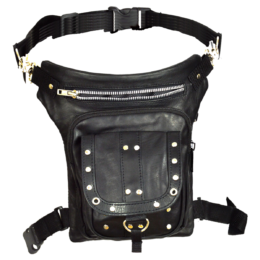 If you’re looking for extra pockets while riding and carry protection, then you’ll want our Premium Black Leather Multi Pocket Thigh Bag with Gun Pocket. It features a large zippered gun pocket with a wide elastic strap, a button snap flap that covers a zippered compartment and a slip pocket, another larger zippered compartment, an additional button snap flap that covers another zippered pocket and another slip pocket, and a zippered compartment on the back. 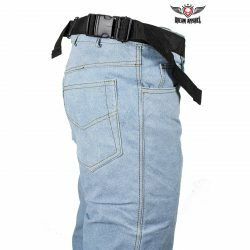 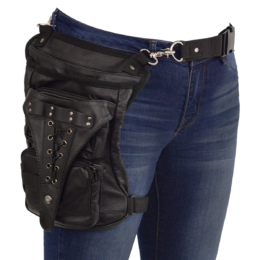 It measures 11.75″ x 8″ and attaches quickly and easily to your belt and thigh.